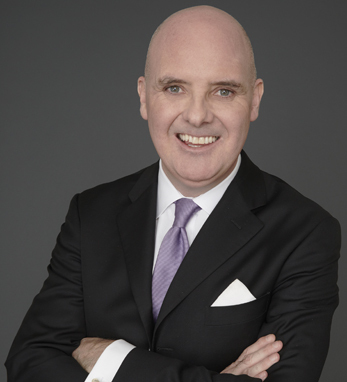 Michael O’Hare is executive vice president, Global Human Resources at The Estée Lauder Companies, Inc., one of the world’s leading manufacturers and marketers of quality skin care, makeup, fragrance and hair care products. Overseeing a global network of HR professionals, he works closely with all business operations of the Company, directing the recruitment, retention, compensation, and development of the Company’s over 40,000 employees. Previously, Michael was Global Chief Human Resources Officer for Heineken N.V., and also spent 13 years at PepsiCo Inc., where he held a variety of senior HR positions. Michael was born in Northern Ireland and has lived and worked in Europe, the United States and Asia. After graduating from the University of Dundee in Scotland, he received a master’s in economics from the London School of Economics and an M.B.A. from the University of Chicago.